6 miles (Irish) from Ashbourne. Miles in Ireland were 6,720ft in olden days, rather than the modern standard of 5,280ft. 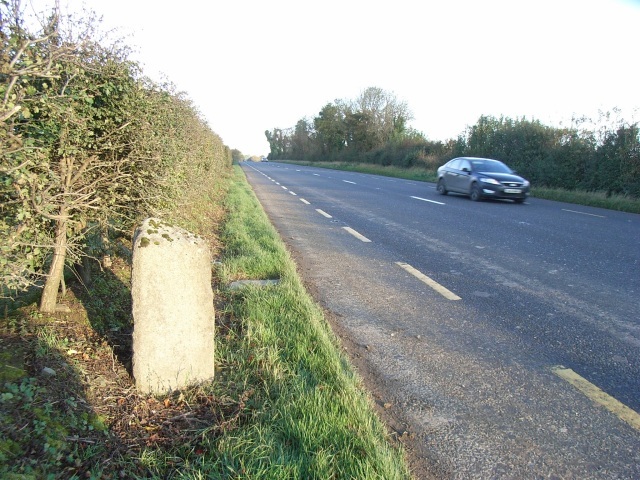 Their surveying was a bit off however as this is 12,484m from the Ashbourne 'zero' milestone, equalling 40,958ft which equals 6.1 Irish miles. This page has been viewed about 93 times.